Will teenagers mainly buy online in 2018? Today’s college leavers fall into the demographic classification of ‘Generation Z’ – made up of people born between 1996 and 2015. What’s special about this group is that they have never known a time when they didn’t have the internet, or when their lives were not connected to the lives of others online via social media. Teenagers spend so much time online that over a third of 15-year olds are classed as ‘extreme internet users’ by the Education Policy Institute (EPI) thinktank. This is because they spend an average of at least 6 hours a day on the internet. The large amount of time spent online doesn’t make teenagers particularly loyal to brands however. They know that they have a great deal of choice and are aware of their options, which means that they’re savvy shoppers and look for the best deal. One thing that does heavily influence teenage buying though is social media. Many rely on social media to advise them what to buy, and will regularly purchase items that have been targeted at them via platforms such as Instagram and Facebook. According to Business Insider, over 30% of teens surveyed took style inspiration from people on social media. Instagram is currently the world’s fastest growing online social media platform. According to a recent article by Brandwatch, Instagram has over 1 million advertisers (including 90% of the world’s top 100 brands) using the platform to target the platform’s 800+ million users. 90% of these users are aged under 35. The same article describes Instagram users as being more likely to make online purchases using a mobile device, which is backed up by comScore’s statistic that says 80% of social media time is spent on a mobile device. In addition, socPub states that in comparison to average desktop conversion rates, smartphone conversions are up 64%. Does this mean teenagers mainly buy online? There are two key points here. Young people are spending an ever-increasing amount of time on social media, which means that they are being targeted by online advertising far more than ever before. Secondly, when they aren’t being targeted by social media advertising, the chances are that they’re using their mobiles to search for something they want to buy. 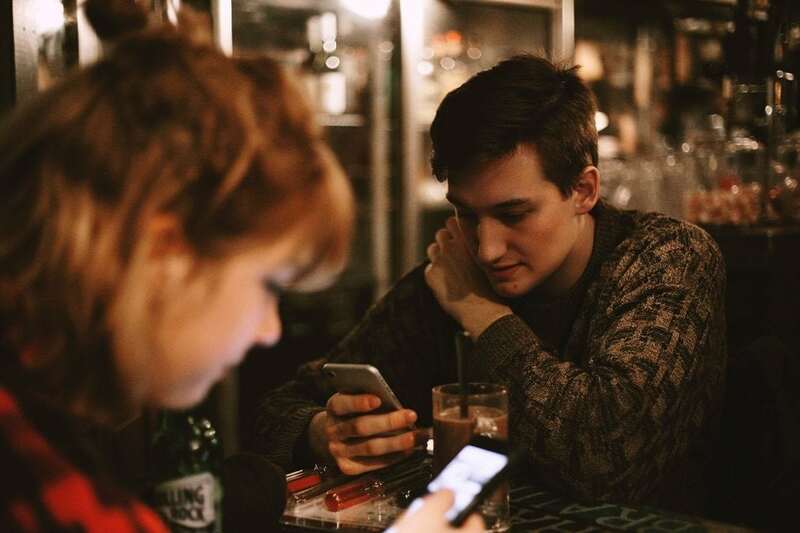 However, according to a survey by savings crowdsourcing platform Dealspotr, teenagers are most likely to use their phones to browse for shopping, but then prefer to go into a store to actually make a purchase. For teenagers in particular, it may be the accessibility of an offline store that makes the difference between them buying online or not. For example, if they do not have access to the store offline, it doesn’t necessarily mean that they won’t still order whatever it is they have found, online. Amazon is a good example of this – in the US it is the top retailer for teenagers. In specific relation to the UK, The Centre for Retail Research has forecast that online sales will rise to 21.5% by the end of 2020. It also states that currently, UK retailing has the highest proportion of online retail sales, making it a ‘test bed for retail innovation’, watched closely by other countries wishing to expand their online sales. The proportion of UK online sales made up by Generation Z is yet to be seen. If it is the older generations spending online, this shows that they have adapted to new ways of shopping which didn’t even exist when they were born. Perhaps Generation Z will continue this trend, as the prevalence of mobile shopping and being able to search using your voice and nothing else develops. In the meantime, whilst statistics point to an overwhelming growth of mobile and online shopping, for the time being at least there are compelling reasons to maintain an offline presence through bricks and mortar stores.